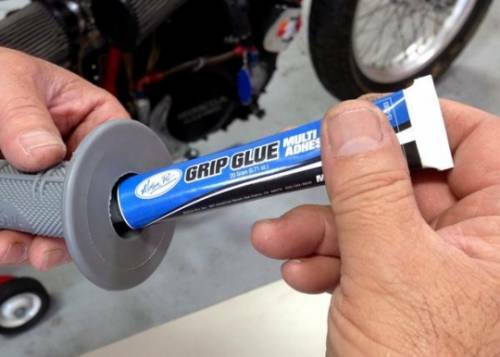 Motion Pro engineers found this Grip glue awesome for applying grips at any price. It works great on all makes of grips for motorcycles, jet skis, snowmobiles and bicycles. - Set time is not soo fast when you have to rush when installing your grips and is tacky within 15 minutes at room temperature and is also waterproof. A 20 gram tube (0.7 oz) is enough for multiple applications. - Outperforms rubber cement, acrylics and any silicone based products because it bonds to more surfaces with greater strength and durability. 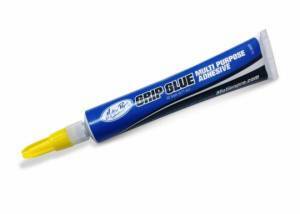 Glue it with Motion Pro Grip Glue before you rip it up! !